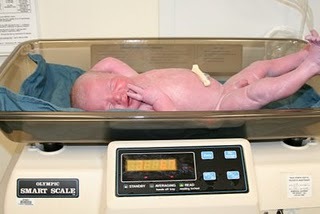 We went to the hospital Monday morning for an amnio to double-check the babies’ lung maturity. 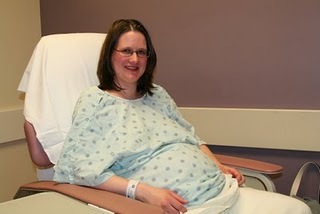 Then we went home to take a short nap prior to returning for the sheduled delivery that afternoon. 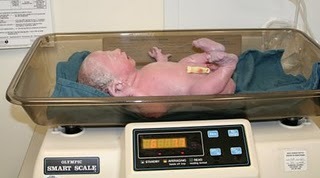 We were scheduled to for the c-section at 1:30 pm, and they finally got started just before 2:00. Ruslan is the name of a player for the Penguins. We liked the name which means lion in Russian. James is for Jen’s dad. Wyatt was another name that we liked right away, both names have been set for many months. It means brave, strong warrior. William is for Scott’s Dad and Grandfather. Everyone was surprised by how big they were. We were expecting 7 lb babies based on the last ultrasound so we were not surprised. 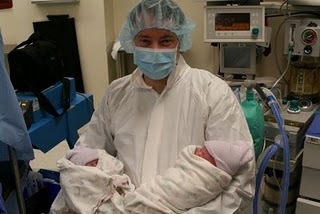 With most twin deliveries they have a Dr from the NICU present in case there are complications at delivery. Within minutes of the delivery, the Dr. pronounced them healthy, told us he wasn’t needed anymore and left. The 2 pediatric nurses left the OR a few minutes later since the babies did not need any special attention. 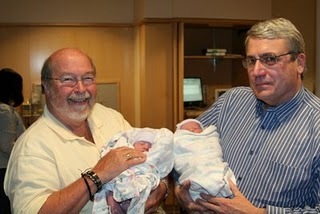 Scott was able to hold them both in the OR as the Drs finished working on me. Then he went to call Juliana and tell her that her brothers had been born and she was the first person to learn their names. 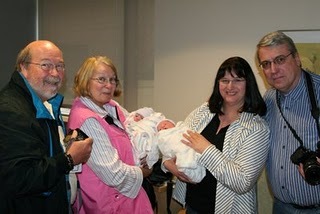 Then Scott and our parents waited in the recovery room for me and the babies to be moved there. Everyone was able to hold the babies for a little while and eventually we were moved to our room to settle in for our first night. The babies spent the night in the nursery and got their first bath so I could have some recovery time and a little rest amidst the continual checks from Drs and nurses of course.